Space – the long-lost commodity that every growing family is searching for. Once we have kids we are stretched to find personal space, emotional space, financial space and definitely physical space and unless we think outside the box, it is unlikely we will find it again anytime soon. Luckily, we have Grotime to do the thinking for us – at least when it comes to physical space. Have you ever wondered why cots are so darn big? Our babies start off taking up one-tenth of the space and before some are even close to filling it, they are climbing and active and ready for a ‘big bed’. Grotime has taken this into account and designed a cot that mirrors global growth pattern statistics and therefore uses space more efficiently. 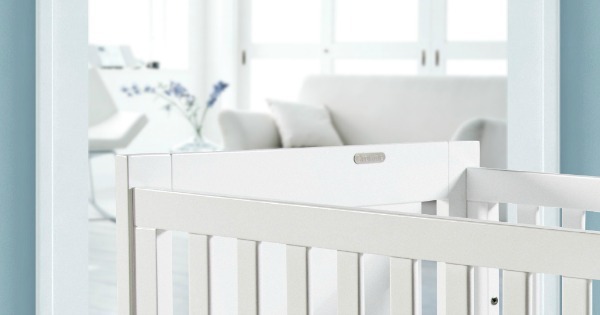 The new Grotime Melody Bassi-Crib system is a compact cot that converts from a bassinet to a crib and suits modern parents who value practicality and efficiency just as highly as style. 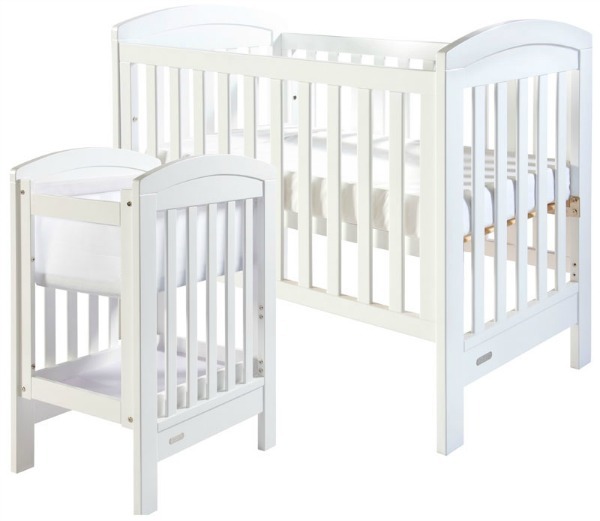 When the cot is in bassinet mode, it uses the two cot ends as the sides. In this configuration, the bassinet will fit comfortably in your room so your new baby can stay close by. After a few months, when you are ready to put baby in their own room, you can attach the longer sides to make a regular cot. One amazing feature of this cot that should not be glossed over is the fact that it fits through a standard 820mm door. You don’t need to be a rocket scientist or engineer to transport this cot from room to room, simply pick it up and walk on through. Style has not been compromised in this innovative cot system and the Melody has a solid timber frame with softly curved ends and is available in white or walnut. The Bassi-Crib system is also available in other Grotime cot designs like the Overture which can convert right up to a full-sized single bed. Grotime makes a number of other multi-purpose furniture pieces that complement the Bassi-Crib system including the Trio two-in-one cot drawer/bedside table and the two-in-one drawer/bookcase. The Grotime Bassi-Crib System is available now through leading baby product retailers around Australia.